We are pleased to announce that multiple Guinness World Record holder, Squadron Leader Jayasimha Ravirala is now the president of the India Memory Sports Council. Jayasimha has long been involved in the mind sport of memory and held the very first memory championships in India. 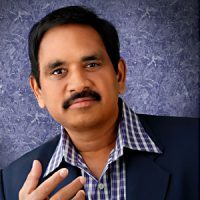 He had been conducting professional training in soft skills for corporates, Educational institutions and public programmes since 2003 and has trained more than 2,90,000 Students, Adults, Armed Forces Personnel for the last five years on various subjects of Personality Development at Schools, Engineering, other professional colleges and also through Public Programmes in Karnataka, Andhra Pradesh, Tamilnadu, Uttar Pradesh, Orissa and Assam. The India Memory Sports Council is a part of the Asia Pacific Region of the WMSC and the regional president is David Zhang.